Beagles were former pack dogs, so they are very social and love being with their family and other animals. They’ve very gentle as long as they receive the love and devotion they deserve. They’re also intelligent and quick, needing plenty of exercise. The origin of the Beagle is described in an American Kennel Club publication as being “lost in the mists of ancient days and no research, it seems, can ever bring its true history to light.” It is said that before the time of the Romans – back to the time of Pwyll, Prince of Wales (a contemporary of King Arthur) – packs of superb white hounds were hunted in Britain. Some people claim that those light hounds are among the predecessors of all modern hounds. 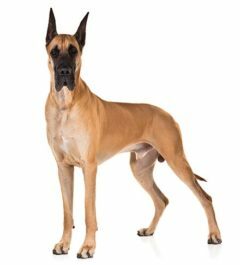 Most experts agree that hounds are indeed the original ancestors of all sporting breeds – including the gazehounds or sighthounds, which hunt almost exclusively by sight, and the true hounds, which hunt primarily by their sense of smell. The Beagle is and always has been a scent hound. As hunting became increasingly popular in England, country gentlemen bred and hunted larger hounds (called Buck Hounds) on deer and smaller hounds (called Beagles) on wild hare. By the middle of the 1700s, the small hare-hunting dogs were further divided into the Southern Hound which was ponderous and deliberate, with long ears and a deep voice, and the North Country Beagle which was quick and had tremendous tenacity and stamina. The modern Beagle was refined in the mid-1800s, when a gentleman named Parson Honeywood formed a good pack from the North Country type. Virtually all Beagles today go back to his line. Always bred to be small, at one time Beagles were purposefully bred to be tiny. A dwarf dog called a “Pocket Beagle” was popular for a time, but it ultimately fell out of favor and no longer exists. In the early years of the American deep South, hunters used a small dog called a Beagle which more closely resembled a straight-legged Basset Hound or Dachshund. They were mostly white with some dark markings, tireless in the field and quick, but also were snappy and not particularly attractive. In the 1860s, General Richard Rowett imported beautiful hare hounds from England and began refining the American Beagle. In the 1880s, a pack of hare hounds was imported from Royal Rock Beagles in Northern England, by Mr. Arnold of Rhode Island. James Kernochan brought another well-bred pack over from Northern England in 1896. Together, these hounds formed the foundation of the Beagle breed in America as we know it today. The Beagle Club of England was founded in the late 1800s and helped to fix the breed type. Beagles are very sociable, cheerful, and independent. 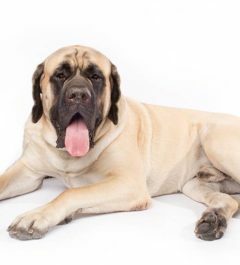 It is an excellent child’s dog, gentle, incredibly tolerant and always ready to join in a game or an adventure. 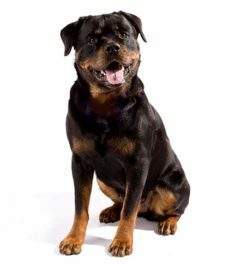 This breed needs early socialization with other household pets. They can be very friendly to dogs and children, as well as to strangers. The coat is short and weather-proof. Beagles shed year round, but they grow thicker coats in the winter, making Spring a heavy shedding time for this breed. Weekly brushing with a higher frequency in Springtime can keep hair from making a mess around the house. They are naturally clean dogs, so they don’t require a lot of bathing, but some Beagles like to play hard in the dirt and mud, so some individuals may require monthly washing. 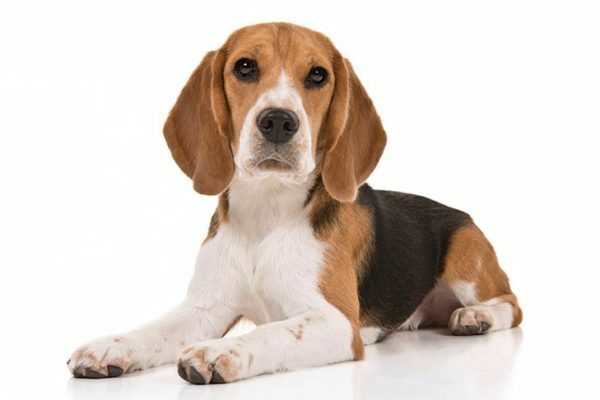 They have drop ears which makes Beagles prone to ear infections. When air can’t circulate into the ear, wax, water and harmful bacteria can get out of control. Weekly maintenance ear cleaning with a veterinarian-approved cleanser can keep painful ear infections to a minimum. Beagles are not immune to a number of health problems, just like most dogs. Their large ears can trap air and lead to a good environment for ear infections, so it’s important watch out for the warning signs that could suggest an infection. Like many smaller dogs, Beagles will rely on you to maintain their weight because without exercise, they’ll still eat just about anything you give them. Beagles are not good guard dogs, but aren’t timid either. If you want a dog to protect you, you’d be better off going with a larger and more aggressive breed like a German Shepherd. Beagles are, however, very friendly and will respond to training as long as you can be patient with their learning skills – but the same is true with just about any type of dog. Exercise is critical for maintaining a healthy weight in Beagles. Why? Because it’s easy for a dog to put on a little weight that adds up. 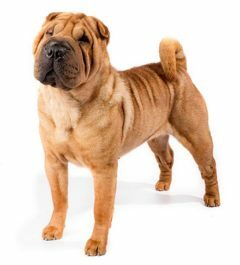 In particular, smaller dogs can be susceptible to obesity because they have so little weight to add; it doesn’t take much before they become overweight. Beagles can be very feisty and active and will like a lot of good open-field experience. Be sure to exercise them daily and don’t be afraid to tire them out, particularly as adults. As a type of hound, it’s not unusual for Beagles to share dietary inclinations as do most smaller hounds. Beagles enjoy good cooked meat including poultry. If you ever cook up a lot of meat for your dog, be sure to include chopped vegetables like potatoes and carrots in order to pack in the nutrition. You can get Beagles to eat a lot of high-nutritional content if you give them meat and poultry flavor they really enjoy. You don’t have to use the finest cuts of meat for your Beagle, but be sure to give them enough to get them eating what’s right.